We meet Christian von Koenigsegg in Ängelholm in the old flying squadron offices of Koenigsegg Automotive's offices. A new supercar rolls out of the old Jas hangar every fortnight on average, each built by hand. The rolls of carbonfibre lying around serve as a reminder that life is about to become very different. Koenigsegg is leading the masterplan to buy Saab from GM, a deal which is dragging on as funding and legal loops are jumped through. A perfect time then, for CAR to interview Christian von Koenigsegg on his plans. He talks candidly about future product, the chances of reviving the Sonnet sports car brand, launching a sub-9-3 Mini rival and returning to rallying. CAR: How did you get the idea to buy Saab from GM? So what exactly are your ambitions for Saab? Will you still build Saabs in Sweden? Tell us a bit about Koenigsegg’s consortium to buy Saab. Who is Augie K Fabel? And who is Bard Eker? And how are your relations with existing Saab CEO Jan-Ake Jonsson? Christian van Koenigsegg pours some coffee as his wife Halldóra comes in to the room. The Koenigsegg HQ feels small and cosy: just a few offices, a canteen, and a handful of young guys who sit and work on Koenigsegg projects on their computers. In total there are just 45 staff. Koenigsegg’s own office is tucked in a small room with an open door. 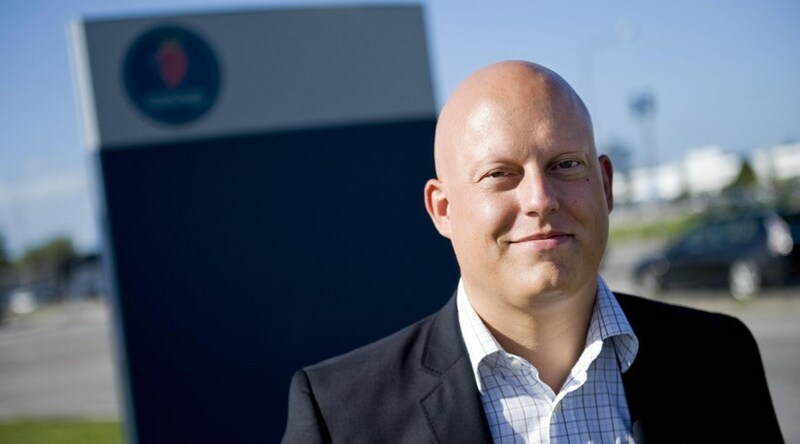 Will you merge the Saab and Koenigsegg businesses operationally? It’s taken you 15 years from scratch to realise the dream of building some of the world’s best sports cars. Won’t associating yourselves with humdrum Saabs dilute your brand? And how will the supecar connection affect Saabs? A question we’ve been dying to ask you: will there be Koenigsegg-tuned Saabs? Why will you succeed with Saab where one of the world’s biggest car makers with a century of experience failed? So what sort of cars will Saab build in future? Ok, so let’s fast forward through the next six to seven years. What sort of model line-up would you like Saab to have? What is the volume of production you must build for Saab to be profitable? So how will you price Saabs in future? When will we start to see Koenigsegg’s genes on Saab cars? Who in the automotive industry do you most admire? Where will the market for electric cars end up? Design is important for Saab. So what are the prospects for the Aero X concept car? Who will design future Saab cars? So how many people will the new Saab employ?